Soundproof Studios are home recording studio design specialists, plain and simple. And we have a portfolio to prove it. Professional recording studios and home recording studios can now benefit from our expertise in soundproofing with our new StudioMax™ Window and Door products. All our products hold world records for their high STC values. Our recording studio windows and recording studio doors concentrate on reducing the low frequency sounds, which is typically the area where you need the most help. These new recording studio windows and recording studio doors have lab tested STCs in the 60s, which will match or exceed your wall STCs. Soundproof Studios is a leading provider of quality soundproof window and door solutions for recording studios worldwide. We were the first to offer both fixed and operable recording studio windows with STC values in the 60s. Our sliding glass doors were the first to offer an acoustically viable solution that not only stops the sound but offers significant space savings. We were the first company to offer standard 1.75″ thick steel acoustic doors with STC values above 53. There are a few steps to take before you start building your home recording studio. How do you want it to look? What’s the intended purpose? How much noise are you trying to block? Choose the best room in your house (the more space, the better), and of course, try to choose the least noisy. 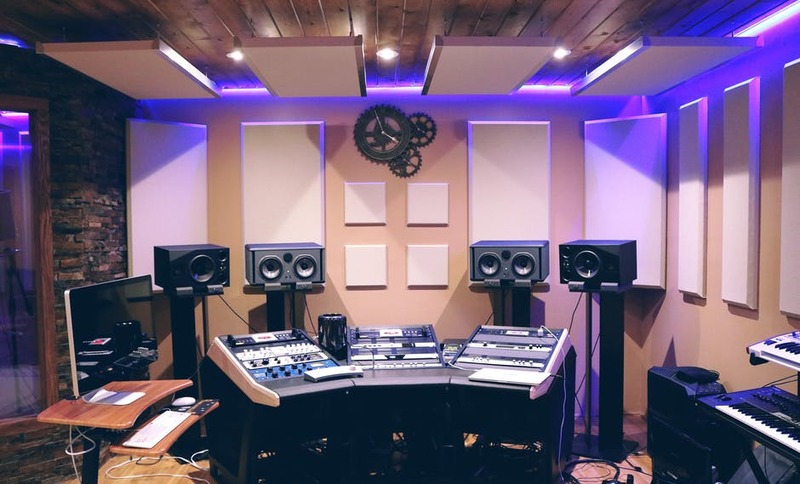 It’s okay if you don’t have a choice because Soundproof Studios recording windows, recording studio doors, and professional home recording studio products will block the noise, guaranteed. Contact Soundproof Studios today and let us help you choose a home recording studio design.